Sunday night and a family dinner at The Wolfhound Irish Bar and Restaurant to celebrate the end of the school holidays and the return to school!! For the uninitiated, The Wolfhound can be found at Riviervismarkt 9, on the northside of Haarlem’s Grote Markt. Our table was located in the stone and wood basement, reminiscent of places recently visited in rural Ireland. Cosy and almost empty at 6.30pm on a Sunday, yet a terrible noise factor due to speakers being too close to the table. Staff were friendly and helpful. The menu is heavy on meat. This pleased the three male family members who instantly decided to order the ribs. Less choices for the vegetarian or health conscious diner – but then quinoa in an Irish pub would have been somewhat suspicious. RIBS: marinated in cola and honey. Large portions, sweet, succulent and delicious. Served with a side plate of fries and garlic sauce. SCAMPI: Mmm! Tasty battered scampi served on a bed of fries and accompanied by garlic +chilli mayonnaise. CHICKEN BURGER: Flavoursome chicken fillet cooked in a chilli+oregano+paprika batter, served on a brioche bun with lettuce, tomato, onion, pickle and garlic sauce. A cup of fries and small tube of garlic sauce completed the meal. VEGETABLE BURGER: This appetising burger was made of chickpeas, kidney beans and goat cheese. Accompaniments were the same as with Chicken Burger. Fries were replaced with sweet potato fries for an additional €1. 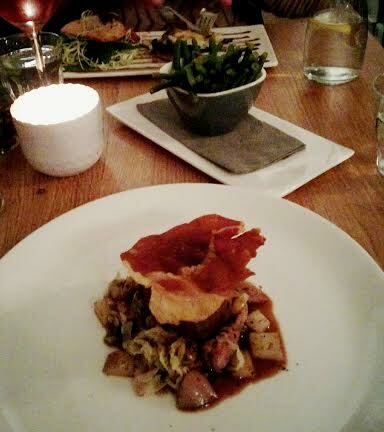 SUMMARY: Tasty heart-stopping food, well-presented, great service, loud but comfortable venue. Total bill: €106 including five bottles of soda water and one large Murphy’s beer (2x mixed bread plates and jug of water free). From a prior visit to The Wolfhound, I can also attest to the fact that the beer on tap is excellent! I hate to admit this, but I have been to CLEEFF three times in the last 36 hours. I love this place to the point of becoming a café regular or stalker. CLEEFF is situated on the corner spot that was previously occupied by a chemist (apotheek). The café is bright, due to large windows and the use of light colours. Bonus for everyone – is the children’s room at the back of the café! The food menu is creative, inexpensive, fresh – and based on the delicious warm smoked salmon + beet + avocado+ horseradish cream sandwich (€6.50) that I enjoyed yesterday – is going to make many health and taste conscious customers happy. I also love that coffee and other warm beverages are served with a heavenly bit-size piece of home-made chocolate fudge. This place has been opened for a few months – and is already popular with the local Kleverpark residents. Open workdays from 8.30am-6.00pm (hooray!! a breakfast venue!!) and on weekends 10am-6.00pm (hooray!! long lunch + wine), with free WiFi and table service – CLEEFF has made it to the top of my daytime eateries. De Nieuwe Koningin – eat like a queen! Nestled in an inner city backstreet , De Nieuwe Koningin (http://www.restaurantnieuwekoningin.nl/restaurant) occupies the corner space that I formally knew as a bakery. Being my third attempt to eat at the restaurant – after two previously botched reservations (one on my part), we booked a table for two on a Thursday evening. In true Dutch style, the restaurant is “gezellig” – comfortable, softly lit, elegantly furnished, and a little squeezed together. Staff welcomed us and proved to be professional, knowledgeable and friendly througout the evening. This restaurant offers a non-traditional menu: small dishes for all courses (€9.50), with a small selection of sides (€3.25), and six dessert choices (€8.50). Dishes are more elegant and slightly larger than Spanish tapas dishes. The number of dishes you order depends on how hungry you are. We ordered the following and left feeling satisfied. 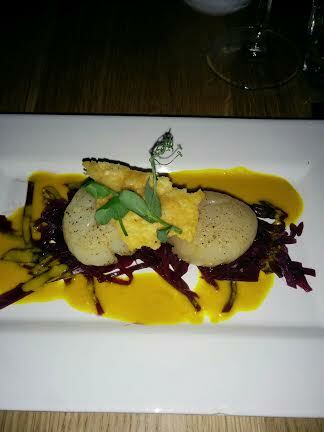 Scallops (2) served with marinated red cabbage and turmeric jus. Very gentle flavors. Scallops cooked perfectly. 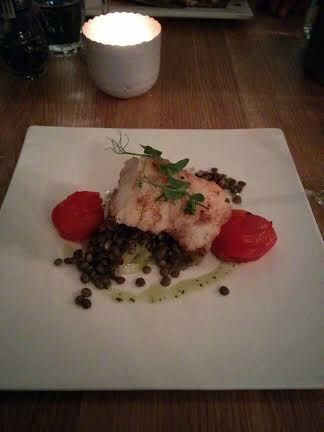 Fish of the day with fennel, lentils and oven roasted cherry tomatoes. Fish had the unusual texture of a monkfish – firm but somehow squishy. Taste was delicious especially with accompanying vegetables. Portobello Mushroom (1) filled with french brie and served with steamed spinach dressed with a balsamico dressing and pinenuts. A personal favourite up to standard! Venison with small potatoes, cabbage + bacon, and truffle jus. 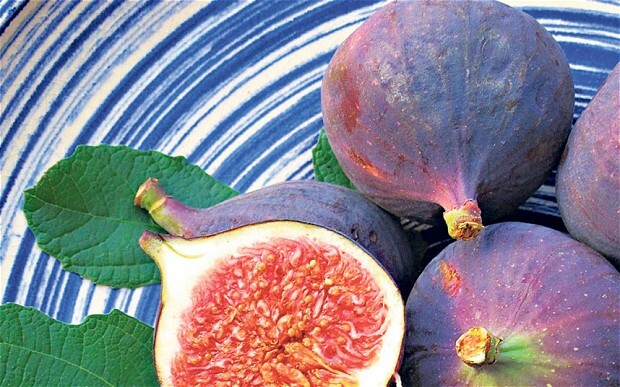 A tiny treat, palatable and aesthetically satisfying. Summary: All dishes served and the service provided were very good. With the meal we enjoyed a lovely bottle of rose (€19.50), complimentary bread rolls + butter, and tap water. Total bill= €61. Recommended!